Q. What is the deadline to register for BiG Conference 2019? A. Boomers in Groups register throughout the year, however the deadline for boomers will be October 15, 2019. Travel Industry members of BiG have guaranteed registration availability until October 15, 2019. We accept registration to fill any open availability with a limit of 250 travel industry delegates. Q. Will there be shuttle service from the airport to the conference hotel? A. Yes, the Hotel and Conference Center will be providing shuttle service from the Nashville International Airport (BNA). B. Boomers: Room and tax are included for October 25 and 26, not 27. Q. If I want to stay additional nights, what is the procedure? A. Boomers simply call the BiG offices at 800-628-0993 by September 1, 2019. BiG will reserve your additional room nights and you can handle payment upon check-in. A. Resort Casual is suggested during all conference sessions. This applies to all BiG education seminars, meal functions, and social events. Q. What is the weather like in Franklin, Tennessee in October? A. Franklin's weather ranges from highs in the low 60s, lows in the 40s in October. Q. What is the BiG Marketplace? A. 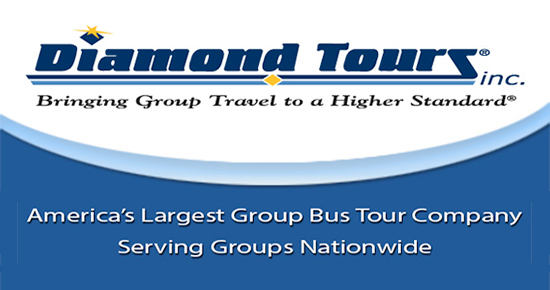 The purpose of the BiG Marketplace is to provide destination and tour operator information to Boomers in Groups Directors. The BiG Marketplace is a rotation style business session where you will see all Boomers and Travel Industry during the Conference Marketplaces. Q. Can my Group assistant take appointments? A. Group Assistants can only take appointments if they are responsible for booking trips not associated with the Primary Group Leader. Please check with Angela Maroni for further details. Q. Are there FAM trips available for Boomers delegates? A. Boomer delegates will receive an opportunity see local sites and develop your future tour to Franklin, Tennessee. FAM Tours TBA. A. All delegates will receive their start times and table appointments at the Boomers in Groups Conference Registration. Q. What handouts are permitted at BIG? A. Travel Industry may distribute an 8.5 x 11", three-hole punched, company profile sheet and business cards. Brochures and giveaways are strictly prohibited on the Marketplace floor. All Delegates are encouraged to bring plenty of business cards for distribution at Marketplaces and Social Events. Q. What if I have a random appointment with a destination in which I'm not interested? A. Great business alliances can be forged from casual business acquaintances. Your interest in the destination may not be for today, but you will be building solid business relationships for future travel. It's also a great way to see what destinations, both domestic and international, have to offer! Q. Where and when is the next BiG Conference?